2. 香港中環郵政總局，2018 General Post Office, Central, Hong Kong, 2018. I am writing this from Sydney, Australia, a city I first visited aged fifteen years old when two friends and I passed-through on New Year’s Day 1976. We watched the first-ever New Year fireworks display over Sydney Harbour, which lasted an underwhelming few minutes of exploding rockets! In previous years, New Year celebrations had always been held in King’s Cross (usually known simply as ‘the Cross’), the city’s traditional entertainment area. The introduction of a fireworks display away from King’s Cross was an official gesture to clean-up the area and an early nod to gentrification. We were hitch-hiking around the coast from Melbourne to our eventual destination, the small town of Tumbulgum (population 405) on the Tweed River, inland from Queensland’s Gold Coast. This 1,000 mile trip saw us away for a month and I made a mere single telephone call during the trip to quickly assure my mother “all was fine”. In those days, long-distance telephone calls were only made in a dire emergency. Nowadays, despite tracking and instant communication, a month’s hitch-hiking for a young teenager would not be the ‘worldly experience’ approved of by parents and, I suspect, most teenagers themselves would think it unsafe. But, is that a false fear? Surely, just the rhythms of life offer greater opportunities for disaster. Our lifestyle of over-studying and work stress, the temptations of alcohol, over-eating, smoking, over-the-counter pain-relief drugs, as well as life’s inevitable personal crises, are surely a greater threat to our health than the freedom of the open road? I am staying in King’s Cross, although the hotel refers to it location as the more genteel nearby Pott’s Point! King’s Cross has long-been Sydney’s red-light and tourist district, but it is much changed since 1976, when strip-clubs, “adult shops”, transvestite drag shows, street-walkers, brothels, recreational drugs, and a variety of bars made it an R&R destination for visiting soldiers during the Vietnam War. Over the last forty years, it has evolved into a late-night party district with clubs, relaxed cafés, fine dining and small bars catering to the young. However, after isolated incidents of street violence, the Sydney liquor licensing authorities recently introduced stricter bar trading hours. These new licensing measures are also a consequence of the intense gentrification of the area. The owners of the area’s newer high-rise apartment buildings want a quieter environment lest their investments are devalued. But, the ecology of a district can’t be erased so quickly, and King’s Cross maintains pockets of genuine character - and seediness. The success of a city is its vibrant street-level activity. Just down from King’s Cross, I had lunch sitting at a street-side table at Fable, a self-professed “farm to table” café. The food was incredibly nourishing, tasty and good-value. Across the road is an old-style grocery store selling, according to its 1970s-era sign: “small goods”; “sweets’, “drinks”. The business had been bought three years ago by a family from Shanghai, who arrived in Australia 26 years ago. They had, I observed, lived longer in Australia than me! The shop interior was ramshackle, the shelves self-constructed, it was completely unchanged from the previous owner; it felt like the 1970s. In Hong Kong, as we know, it is avid property development rather than specific gentrification of our older districts that is changing the character of the city. 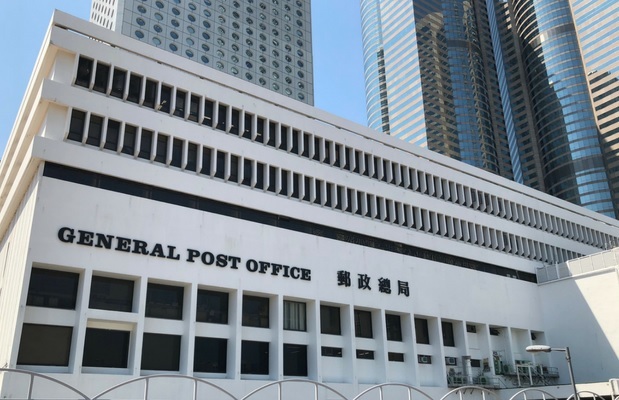 Hong Kong has only rare examples of 1970s architecture left and the best example and one of the few examples of brutalist architecture in Hong Kong is the General Post Office (GPO) in Central. At a recent exhibition mounted by M+ at its M+ Pavilion, one of the displays featured the architecture of Jurong City Hall in Singapore. Remarkably, the architecture is almost identical to our GPO and built at the same period. But the government is planning to sell the land on which the GPO is sited as part of its redevelopment of the Central Reclamation: under currents plan, which have never been open to public consultation, the GPO will be demolished. 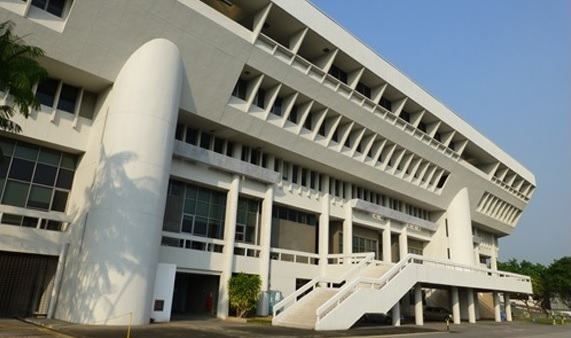 The Central & Western Concern Group strongly believes that the GPO must be preserved, re-adapted if necessary, and be an important part of the Central Reclamation as a living example of 1970s Hong Kong architecture. Please add your support by signing the petition – the website is below. This article was originally published in Ming Pao Weekly, 28 October 2018, Chinese version translated by Aulina Chan.